I’ve long been acquainted with the music of Kev Ellis, from the Psychedelic Blues and Space rocking Dr. Brown, to the Bubbledubble and Sonic Arcana Space Rock projects, his contributions to Spirits Burning, and the Trev & Kev duo with the late Trev Thoms. 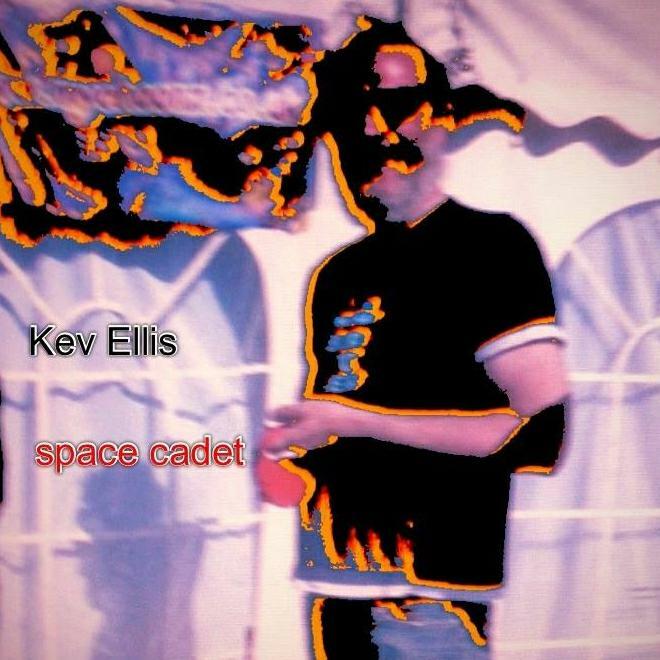 The appropriately titled Space Cadet is Kev’s first solo album under his own name. Guiding Light features rocking Space-Blues, with harmonica jamming to cosmic synths and electronic effects. Maybe it’s the harmonica but some of this is like a more spaced out version of Dr. Brown, which is absolutely ok with me. Celebrate The Day has an 80s UK festie psych vibe, with a cool rockin’ groove, pulsating soundscapes and a spaced out pagan feel. I like the mesmerizing drones, bubbling electronics and wildlife sounds in the trippy grooving Resting Heart. Super Cosmic Space Age Baby is a riot, being a fun bouncy Space-Punk song. If the Ramones ever recorded a Space Rock tune, this would be it. Emerald Eye is a dreamy trippy Bluesy grooving heartfelt love in space song. I really like the dirty drunken Space-Blues of Sunrise Pagan Bop. Time Reflection is a cool floating space electronic driven yet rhythmic and cosmically melodic instrumental. Ancient Flight gets us into heavier Space Rock territory, and again brings to mind Dr. Brown in space, with a rocking rhythm section, swirling space electronics, atmospheric waves and Bluesy harmonica. Wrapping up the set is Morning Raga, which conjures up images of a Gong-like pagan trip around the campfire, with tribal percussion, searing drones, whirring, pulsating, rhythmic electronics and mesmerizing vocals. Space Cadet is a fun and varied set and I hope Kev gets a good response so he does another one soon. It’s available in CD and download editions, but if you want the CD you better hurry because there are only 100 of them.